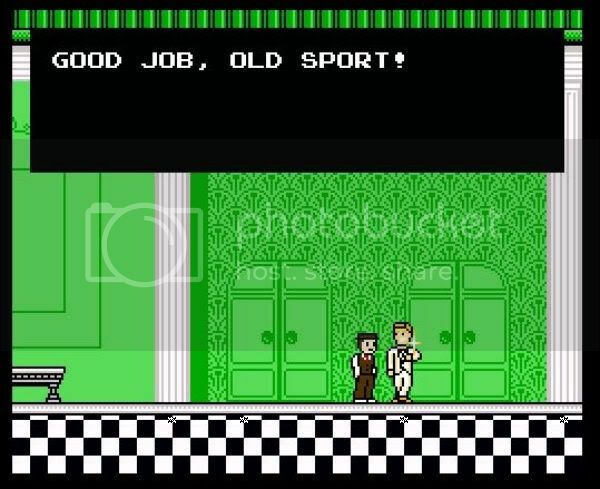 The Great Gatsby for NES - have you seen this?? 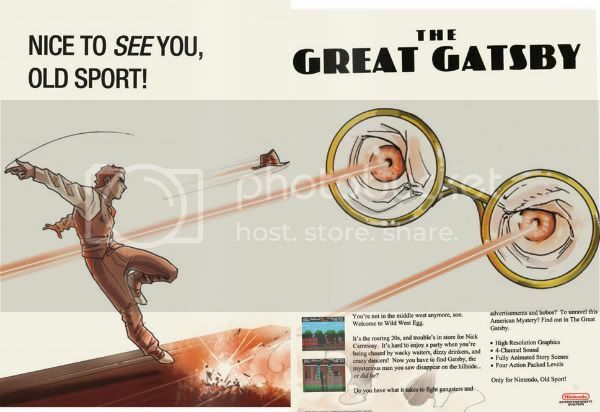 I'm assuming everyone here knows about this and I'm late to the party (old chap) but I searched the forum and find no mention of 'gatsby'. Apparently this is a real game, an unpublished port from a Japanese game? The guy found it at a yard sale? I don't know, the whole thing reeks of fake backstory for an internet joke, but the game is surprisingly fun. I found the novel to be kind of overrated. I guess. Or maybe my opinion is overrated by me, but either way it sort of bored me. Yeah I really didn't like the story much in high school, but this game intrigues me. The boxart is awesome. Definitely not real, it's a homebrew made by one guy that he just released a few days ago. Looks pretty cool. The fake magazine ad is awesome. @Orbital74 Disappointed but much less confused. Although I dunno, I could have more faith in humanity if 90's Japan produced cool literary video games. I had some fun with it but didn't play through completion. Probably fake, I mean that boxart seems way too modern looking. Talk about a way to disgrace a classic novel though, lol. @Brick Not as bad as what EA did with Dante, right? Yeah. Even though I was actually interested in that game, I'll admit that it was indeed just a horrible way to adapt that epic poem. Really could have worked better as a Silent Hill clone. Does Zelda make a cameo? @anandxxx Aaaahh I forgot about Zelda Fitzgerald! That's it, it's a real name, I'm naming my next daughter that.